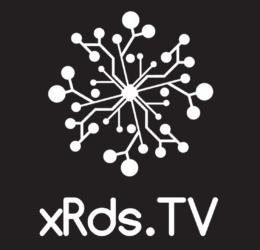 Our website address is: http://xrds.tv. We know that you chose us because you know and trust us. Therefore we will take good care of your privacy as best as our website’s code can do. We check our site daily for privacy and security issues. We collect only the data that you share to contact us and or to place an order. Our payment system is secured via the PayPal payment system. We have no access to this payment process and the data you share with it. We use a third party contact form generator on this site. This form sends the information you share to our email server. We do not share any information with other parties. Our server collects visitor information that is readily available anywhere on the internet. This is anonymous information and unless you register an account, the information is still limited. We do not share information with any other party or parties. Your contact information is kept on file when you use our contact form or place an order on our online store. We do our best as a small entity to protect you as we expect to be protected. We use daily and hourly automated checks on our site. We have only a few people who can directly access the server. Anyone trying to log in or bypass security will be blocked from the site. We use third party security software that uses realtime updates. When a new threat is found on the internet, our site automatically ‘inoculates’ itself to the threat. We receive data from our server, our software providers and some data from social media sources. We do not use your data for reasons other than contact or sales. We use third party software for our site. We do not claim or foster any liability or liabilities for their products. We use them in good faith.